What's even worse? 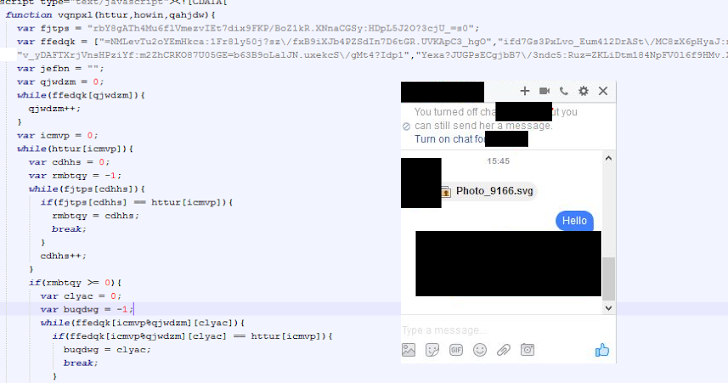 Peter Kruse, another malware researcher and colleague of Blaze, noted that the SVG image file containing the Nemucod downloader, in some cases, then ultimately downloads a copy of Locky ransomware on victim's PC. It is not clear at this moment how the SVG files managed to bypass Facebook's file whitelist extension filter, but both Google and Facebook's security team has already been notified of the attack. He also said that the assertion that this malicious Chrome extension was installing the Locky malware is incorrect. Also, the company believes that the impact of the attack on Facebook has been very limited, as it requires an additional step to install software onto victim's browser or computer. Blaze advises, "As always, be wary when someone sends you just an 'image' – especially when it is not how he or she would usually behave."